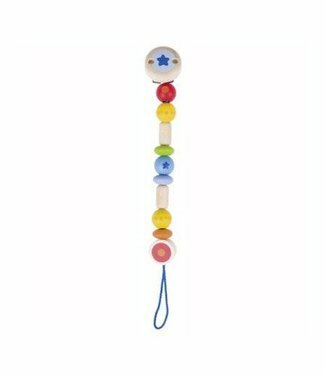 Heimess stands for the best wooden toys for babies. The brand uses very strict rules concerning production, so that your little one can not happen. The toy is made of high quality and safe natural material and can be put in the mouth by babies without any risks involved. In addition, it is easy to clean. Safety is most important and thanks to the dedication and commitment of Heimess, the safety of their toys is always guaranteed. 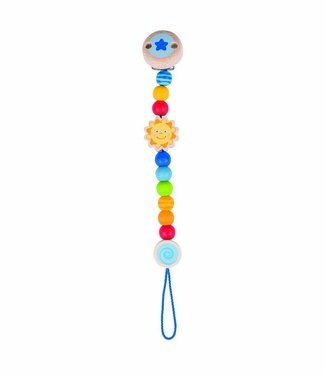 Of course it is also nice for your little one when the toy looks cheerful. 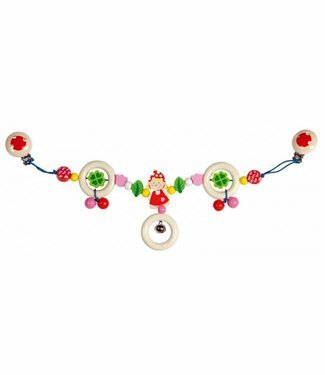 Heimess toys are characterized by cheerful colors and fun shapes. Children spontaneously feel like playing at the sight of the fun toys from Heimess. Do not wait any longer and check out the wide range of this high-quality and child-friendly brand. 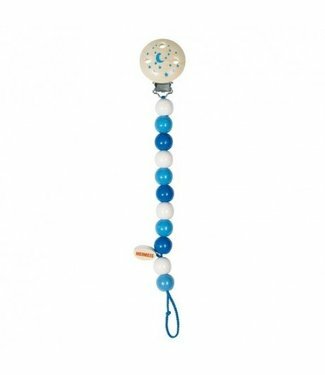 Blue with white wooden pacifier chain from the German brand ..
Rose with white wooden pacifier chain from the German brand .. 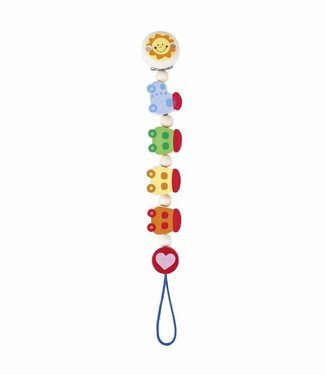 Wooden pacifier chain from the German brand Heimess with a b.. 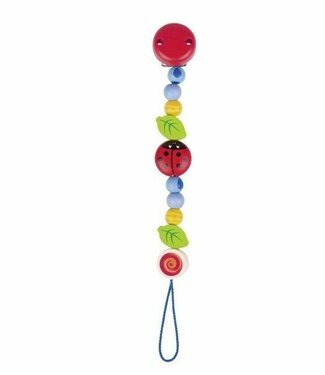 Wooden pacifier chain from the German brand Heimess with a l.. 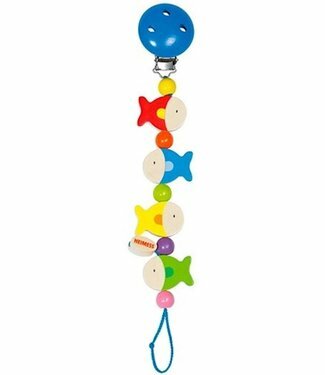 Wooden pacifier chain from the German brand Heimess in the s.. Wooden pacifier chain from the German brand Heimess in soft .. 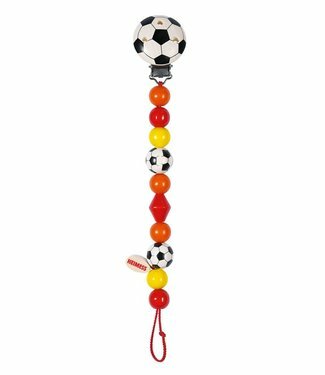 Wooden pacifier chain from the German brand Heimess with rou..
Baby stroller feline. the movable parts, the striking colors..